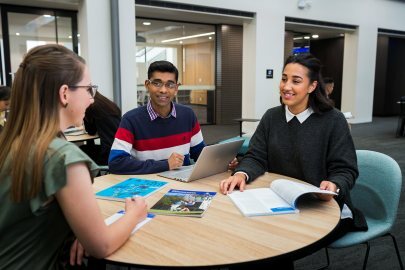 Study Bachelor of Laws (Honours), Bachelor of Journalism and Professional Writing at the University of South Australia (UniSA). Information for International students. 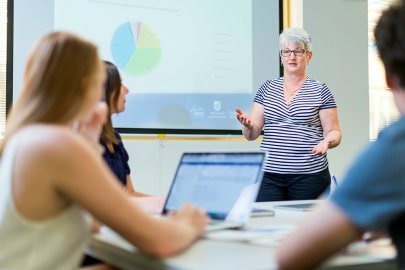 Study the No.1 ranked Law degree in South Australia1 and the state's only journalism and professional writing degree. Ranked in the top 100 in the world for Law2. Learn in our state-of-the-art television and radio stations, located on-campus. Gain practical experience by contributing to our online student publication On the Record, or our internet radio studio UniCast. Learn from researchers who are recognised as performing above world standard in Law, and Journalism and Professional Writing3. Gain a competitive advantage by combining law with journalism and professional writing, and graduate with two degrees in just five years. You will graduate with professional honours, an advanced understanding of legal principles of Australian law and the latest legal concepts in journalism and professional writing. This legal expertise, combined with the knowledge and skills you’ll gain from your specialisation, will set you on track for a leadership career. 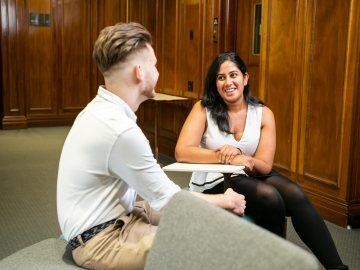 In your law studies you’ll gain practical real-world experience by undertaking an industry or clinic placement, a law reform project or high-level research in your final year. You’ll also be involved in mock-trials in our moot court, learning what it’s like to act as an advocate and argue a case before a judge. You can also gain valuable experience at our Legal Advice Clinic, solving legal problems of real clients under the guidance of a managing solicitor. In your journalism and professional writing studies you will develop the skills and knowledge to work as a journalist and writer in mainstream media and the field of communication. The emphasis on professional writing opens doors into professions such as technical writing, tender presentations, and marketing and communication. This degree is made up of 40 courses. You will do 24 courses in law and 16 courses in journalism and professional writing. A final year internship at a news or production organisation will synthesise your knowledge and training. Through your choice of electives you can also expand your knowledge in an area of professional interest such as health law, sports law, family law and human rights law. 1. 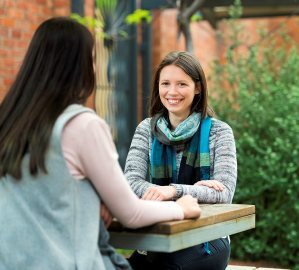 The Laws Double Degree (Honours) comprises 40 courses totaling 180 units and includes: 24 courses from the Bachelor of Laws program; and 16 courses from the Bachelor of Journalism and Professional Writing Degree. 3. One law elective in the final year needs to be an advanced elective. 4. All students in the School of Law who, as part of a course, undertake activities where interaction with clients/the public/an external organisation are required, such as industry placements or clinical placement, must demonstrate that they have a current National Police Clearance, which is valid for the duration of the course. External placement providers may also require a current National Criminal History Record Check (Child-Related Clearance) from the Department for Communities and Social Inclusion (DCSI), which is valid for the duration of the course. The National Police Check will list disclosable court outcomes that may prevent clinical placement/industry placement involvement, requiring withdrawal from the course. Our innovative combination of smaller class sizes, practice-based learning and courtroom-like facilities deliver a learning experience that takes you beyond the theory of law. You will graduate with professional honours and an advanced understanding of legal principles, including the opportunity to experience an industry or clinic placement, undertake a law reform project or conduct high level research in your final year. In our Legal Advice Clinic you’ll gain valuable experience, solving the legal problems of real clients under the guidance of a managing solicitor. Throughout your journalism studies, you will gain access to our on-campus TV studio that boasts one of South Australia’s largest green screens, and a radio station. This means you will graduate with plenty of hands-on experience. You can even be part of the University’s own radio studio, which is broadcast live on the internet, our TV show that airs on Channel 44, or be published in our online student publication On the Record. Our Business Career Mentor Program also pairs you with an experienced legal professional, helping you to build your network and your career. The six-month program runs from March every year. In 2013 I had the opportunity to cover and report on the Federal Election, which was an amazing and exhausting experience. An 8 week campaign took a lot of energy and resources from our Bureau, and it was great to travel around the country and experience the diversity of Australia's cities and regions. The combination of journalism and law gave me the strength to take vast amounts of information on complex issues like the election, and distil it into something an audience understands.